Afrikanist: You don't Need a Resolution. Its Now a Culture in Most Nigerian Homes to Observe the ' Watch Night Service ' or ' Cross Over Service ' in Religious places Every New years Eve. I remember when I was much younger, How my parents will ask me to Sleep in the Noon so that we will be Awake throughout the Church Service. Even if we decide to play all day, Somnolence is the last thing to come to Mind when we get to Church. Church Service on those 'special' days are different and one could tell from the Sound of the Drums and the Songs from the Choirs and the Sound from the Microphone. Everybody busy thanking God for a ' Wonderful ' year or ' not too wonderful ' year as the case may be. We will then pray to God to purge all our Sins away from us after which the Priest Blessed us. 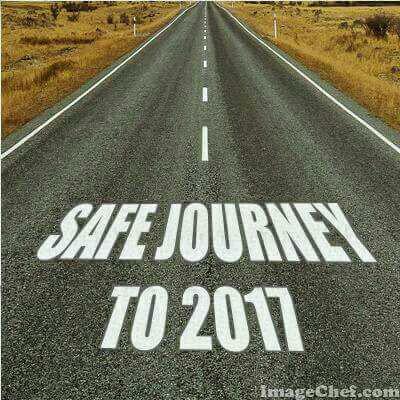 We will then March Home with smiling faces and lit Candles on out Hands and 'Happy New year ' on our lips. We struggled past knockouts and Fireworks and when we got home we then put the Candles on our Doorpost and watch our Past Sins Burn off in the Candles ' flame. We then 'walk triumphantly' like Soldiers to our Rooms and Write out our New Year Resolution. I so much liked every aspect of these Rituals until I was 14 when I began Questioning myself about Many things that Matter. So I have to pretend for 3 years to like the Rituals until I decided to stop and think. I like to talk about the New Year Resolution. In this context, New Year Resolution can mean a Vow one takes and promise his/her self to keep throughout out the year. I studied a few Resolutions I made will I was still young and I discovered that they are all Selfish and Self Centred Ambitions. To have a balanced story I decided also to Check out the Resolutions of my Friends and the Result was still the same (selfish & self centred and even worse). And so I came to a Conclusion that New Year Resolution are a List of Selfish and Self Centred Ambitions that a person decide to Create for himself/herself either Consciously or Unconsciously just to gratify their fragile ego. New Year Resolutions always start with 'I want God to...' or 'I must buy...' or 'I must have six packs &...' and the selfish list goes on and on until you get to that point when all you wish for is just to be the only person in the World. If Everybody in the World keep thinking about just 'self' then what happens to Humanitarianism and Giving Alms to Refugees and Helping the Poor & Needy in the Society. If Everyone become selfish and self centred then who will now be the Founders of Powerful Foundations like the Bill&Melinda Foundation (helping to eradicate Diseases and Poverty from the World), Sir Emeka Offor Foundation (helping the Widows and Needy in his Community) and so on. It's good to have good Dreams and its good to also have Visions for the Future but try your best to always give back to the Society in your own little way. Years ago in my Hometown, people have to travel miles just to get to the Stream where they can fetch drinkable water but now the story is not the same as many well-to-do individuals(from my village) have take it upon themselves to setup boreholes at strategic locations to ease the Stress of the Villagers. Even as I advice you not to keep a Resolution, I will also ask you to try and Avoid Negative Ideas and Negative Friends. Set good Goals for yourself and Please don't try to Compete with other People because it's a Gross waste of Time. I recently started a Blog to talk about things I think that Matters and we have thousands of Bloggers all over the World and if I decide to compete with one of them (maybe Linda Ikeji) then am gonna be stuck at the point I was before. I won't make Progress trying to Compete but I will make Progress if I decide to Learn. The Mosquitoes and the Butterflies and the Birds of the Air fly in the same sky and none of them is fighting eachother for Survival. They just spread their Wings and Fly. In this New year I want you to Spread your Wings and Fly and not to Streamline yourself into a Wishlist thereby limiting your potentials.